From a family-run atelier in Rome to an iconic global brand, FENDI represents impeccable craftsmanship and superior creativity. 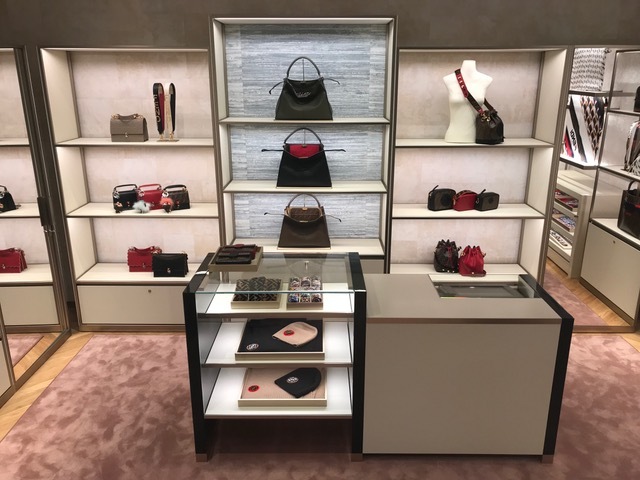 To fully appreciate the handbags and accessories, visit the newly-redesigned FENDI Boutique located in Saks Fifth Avenue, Biltmore Fashion Park. Above: Interior views of the redesigned FENDI boutique in Saks Fifth Avenue, Biltmore Fashion Park. “Magnificent” best describes the newly-redesigned FENDI Boutique. 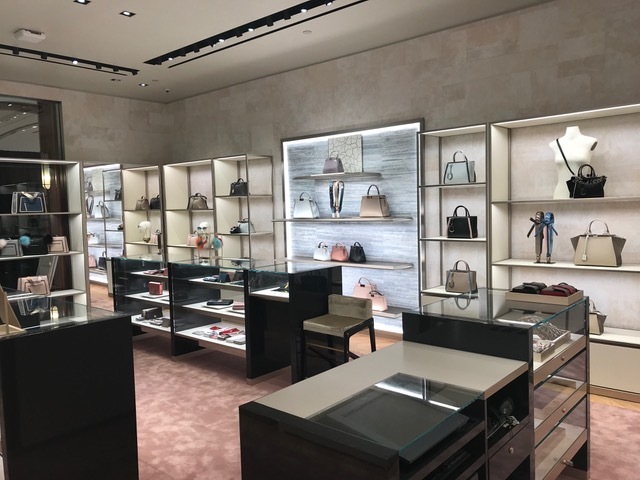 Located on the ground floor of Saks Fifth Avenue, the luxury brand’s Phoenix store appropriately places high fashion within a sleek, contemporary interior design. Gone are the bulky wooden shelves and entry panels that obstructed the siteline. Replaced by glass, the shop appears more spacious. The numerous FENDI handbags on display now take centerstage and the perfectly-lit area allows guests to view the nuances of each item. 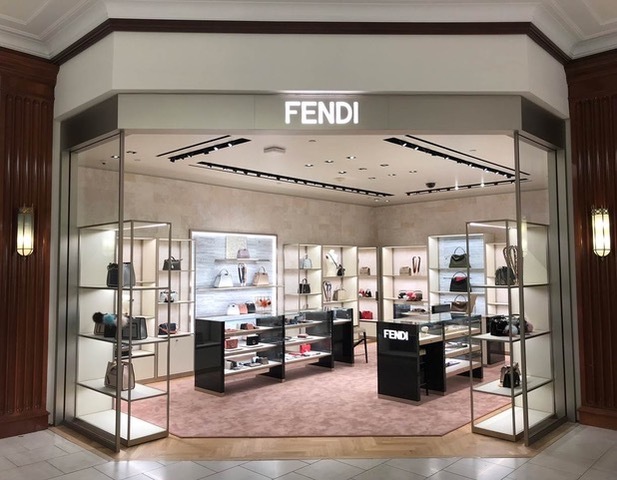 The gilded vitrines are strategically placed to ease traffic flow, displaying FENDI accessories such as wallets, eyewear, scarves, card holders, timepieces, belts, shoulder straps and handbag charms. It’s no surprise that every facet of the buildout has been carefully considered: after all, the legendary Italian label prides itself on the details. Using a calming color scheme of muted creams, carpeted in blush with a hint of pale rose and soft-colored paneled cabinets, the boutique is welcoming. And so is the staff. Under the lead of manager Jennifer Powell, the team is knowledgeable, accommodating and professional. 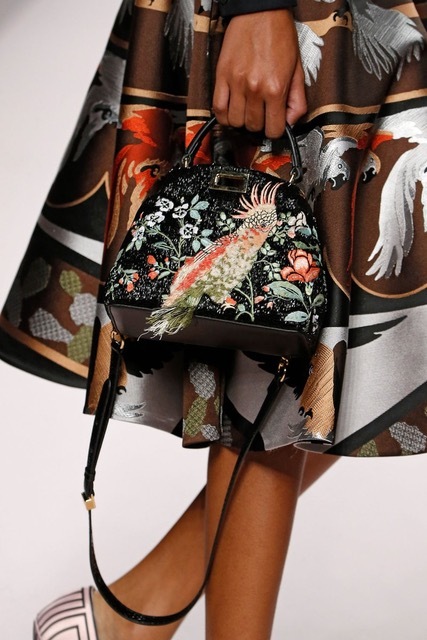 Above, top left: FENDI Peekaboo, embroidered flora and fauna. 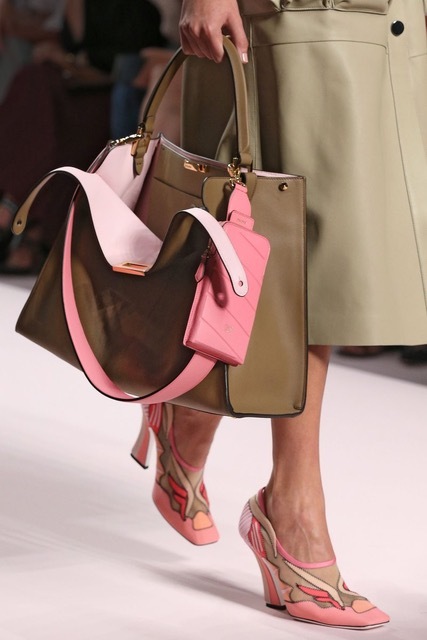 Top right: FENDI Peekaboo, adorned with tone-on-tone novelty pockets. Bottom left: FENDI Upside Down bag. Bottom right: Peekaboo X-Lite. The Fendi journey began in 1925 on Via del Plebiscito, a busy street in the heart of Rome. It was there that Adele and Edoardo Fendi opened a small leather goods shop and set up what was then a secret in-house fur workshop. Success came quickly and their five daughters – Paola, Anna, Franca, Carla and Alda – joined the family business. Nicknamed “the five fingers of the hand,” the sisters injected new energy and fresh ideas into the brand as well as recruiting the young German designer Karl Lagerfeld who continues to have artistic input. 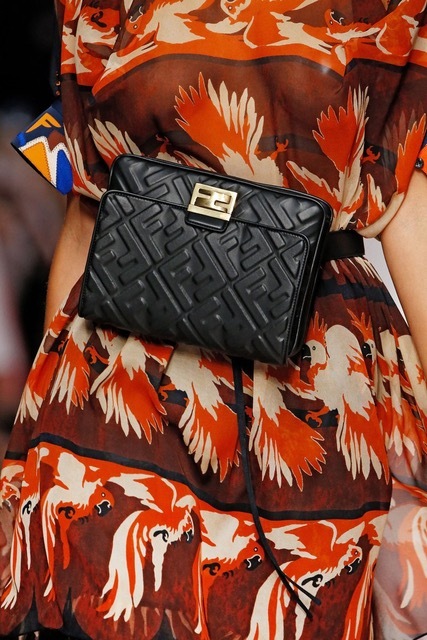 Above, top left: FENDI Mon Tresor mini-bag with Pom-Pom Charm. Top right: FENDI Mon Tresor mini-bag. 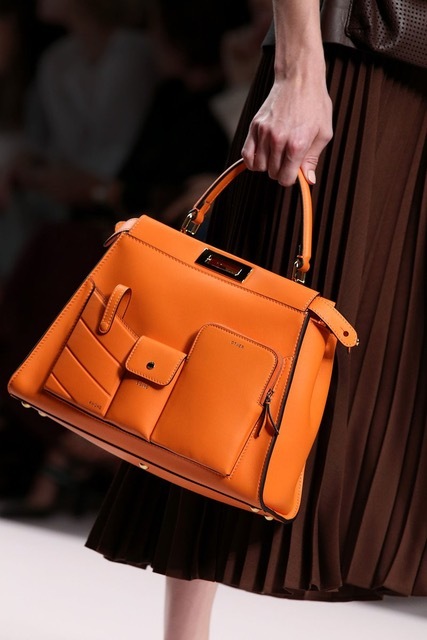 Bottom: BY THE WAY bag with STRAP YOU leather shoulder strap. And just when we think it couldn’t possibly get better, FENDI’s ability to translate its stylistic vocabulary into an infinite variety of forms is impressive. For example, during the past 20 years, over 1,000 versions of the ever-popular Baguette handbag have been produced. In the Spring/Summer 2019 collection, the Baguette bag offers versions with elaborate silk embroidery, jeweled embellishments and unique finishes. Peekaboo models sport outside novelty pockets, exotic skins and unexpected color combinations. There’s even one with a transparent covering to protect the purse from the elements. To personalize your handbag, choose from an extensive assortment of decorative pom-poms and shoulder straps. New models such as By The Way, Upside Down, Kan I and Mon Tresor illustrate the brand’s ability to stay current without being too trendy. Peekaboo X-Lite, the latest addition to the Peekaboo family, is defined by a soft construction and contrasting internal pocket in precious leather, pastel calfskin or the iconic FF logo. To simplify things, several styles have been downsized to lighten your load while others have added a chain strap for hands-free action. There also are belt bags, both practical and fun.